One of Apple's newest iPhones is being slammed by fans for its lack of quality, in what should be a worrying development for the Cupertino iStuff slinger. 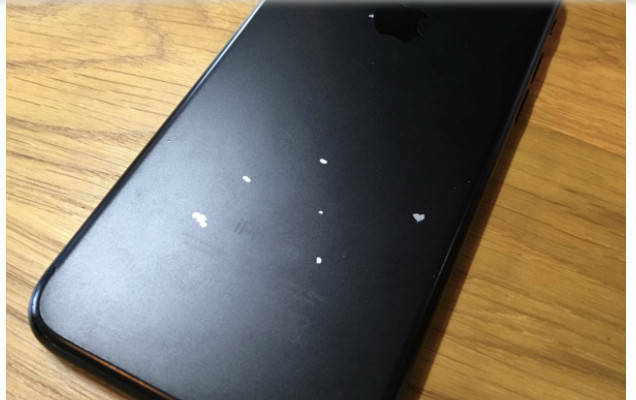 Loyalists have taken to Apple's support forums to complain that the matte black model of the Sir Jony Ive-designed iPhone 7 is prone to easily chipping off, even when a protective case is used. "I have been using iPhone 7 Plus Matt Black for about one month with fully covered by a TPU casing and full screen tempered glass most of the time," writes one customer. "I just open the casing once a week to wipe the dust off from the phone. Until yesterday when I take off the casing, and notice there is something at the edge of the phone body next to UP Volume button. At first I thought it just the dust. I try to wipe it using microfibre cloth as usual. Until I look closely it is the metal part of the body. It seems that the black anodised paint had been chipped off from the phone body." Other iPhone buyers are having similar experiences. A bunch of photos posted to Apple support forums show just how bad the problem is for a handset that has only been on the market for months. The problem is only the latest in an ongoing parade of technical flaws that have plagued the Cupertino idiot-tax operation, which prides itself on its meticulous design and engineering standards. The iPhone 5 had similar quality issues, and the iPhone 4 was famous for its antenna woes.